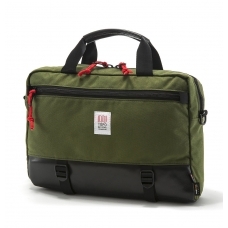 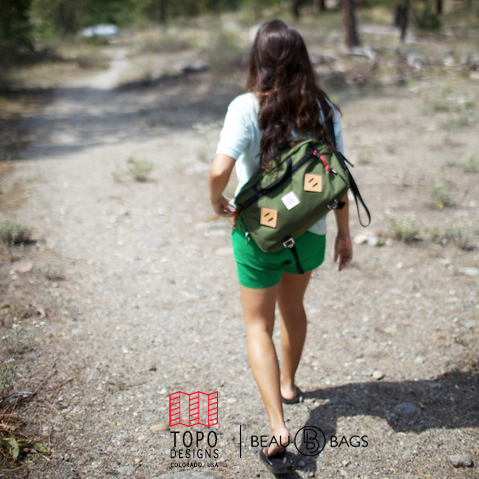 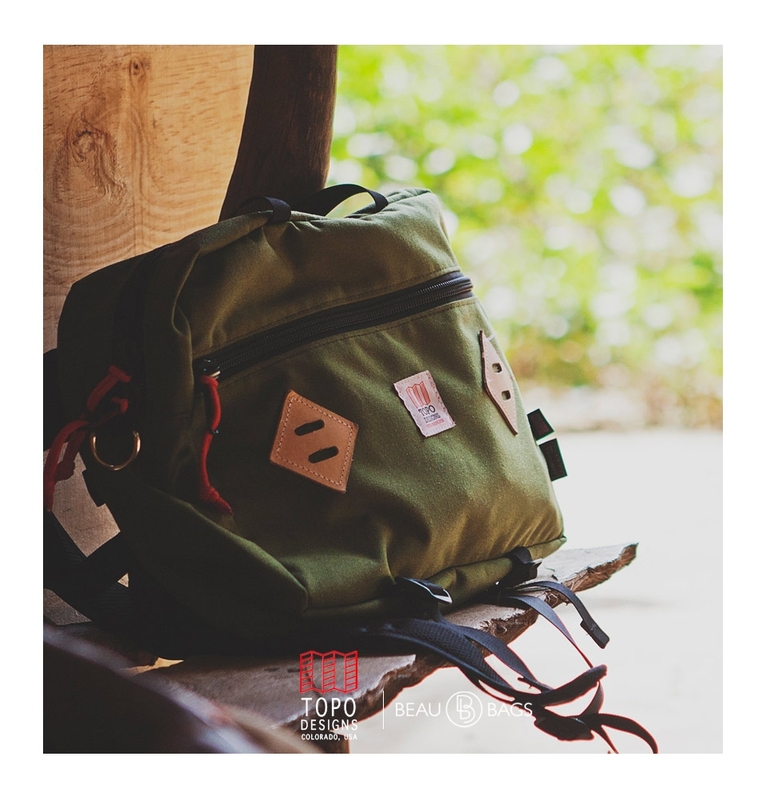 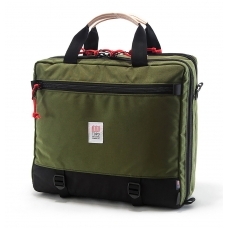 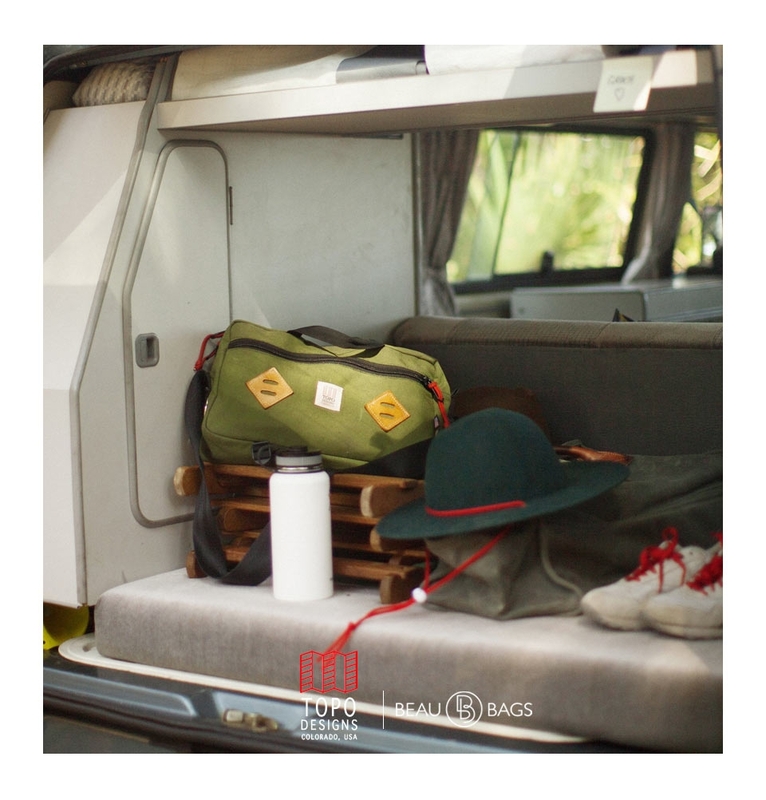 Topo Designs Mountain Briefcase Olive, go to work, bum around town, travel the world, do-it-all everyday carry. 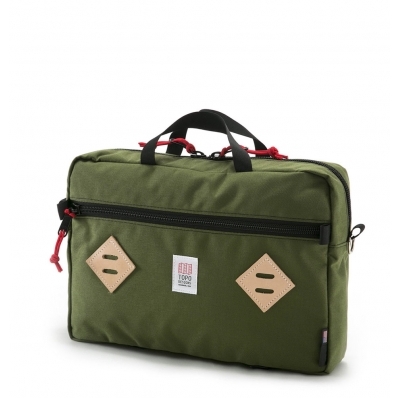 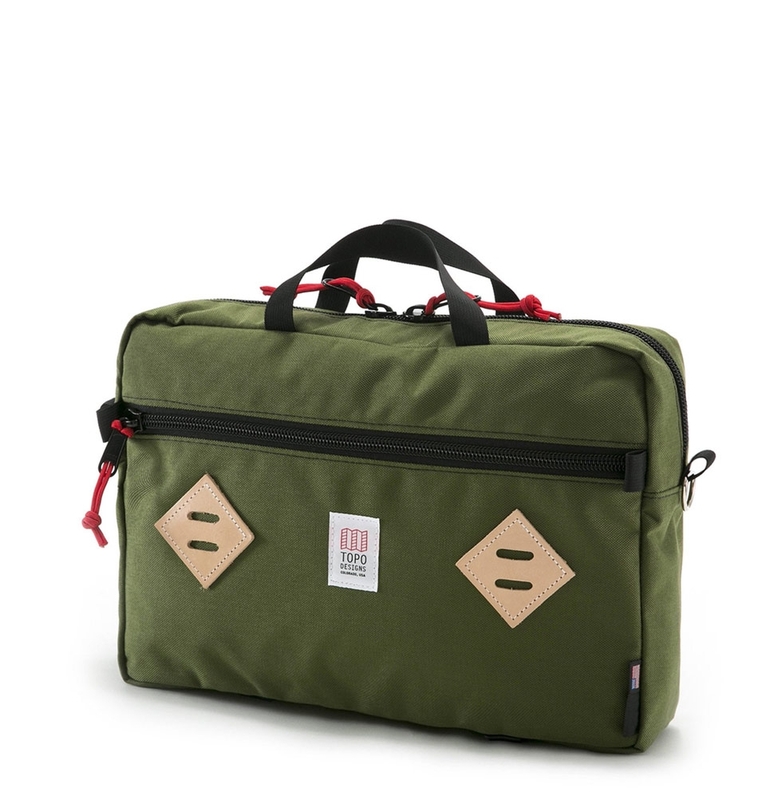 The Mountain Briefcase Olive features a distinct three-way carrying system, built to suit any situation. 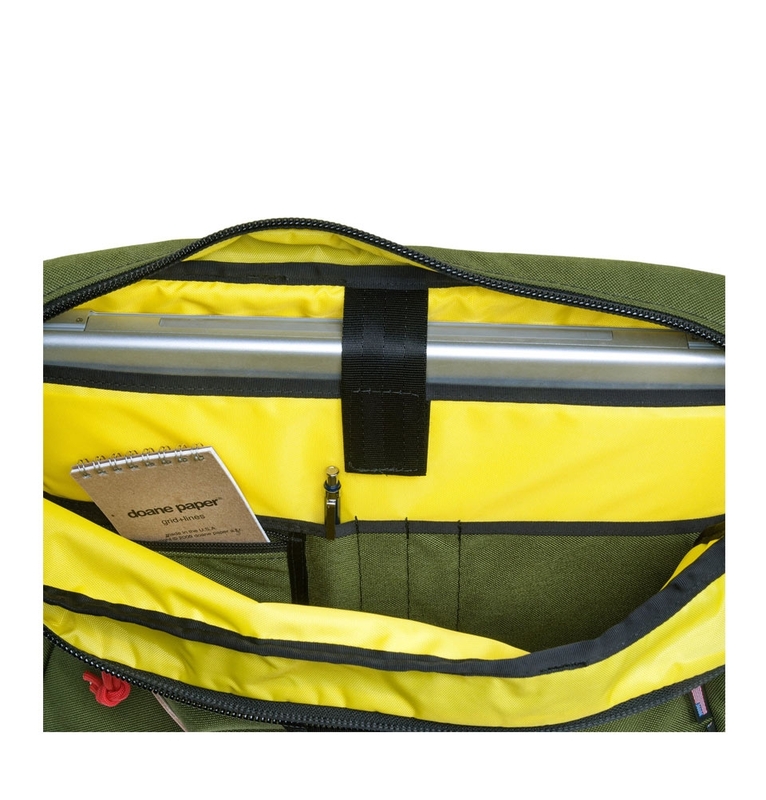 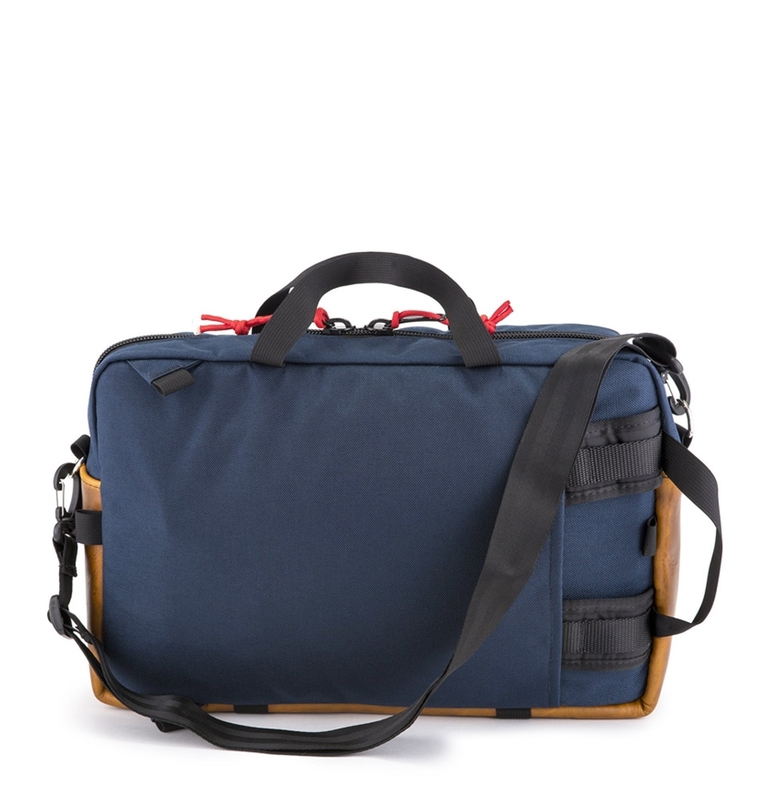 Structurally, the carryall can be a two-handled briefcase, a backpack or an over-the-shoulder bag. 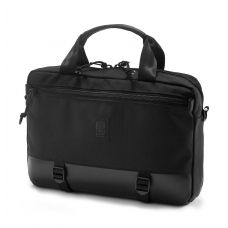 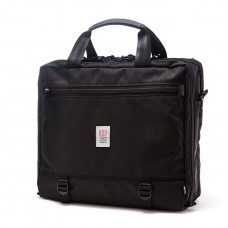 A little bigger than a regular briefcase, the 12.9L bag comes complete with a padded laptop/tablet sleeve with velcro closure, a zippered pocket, an open-top pocket and pen slots. 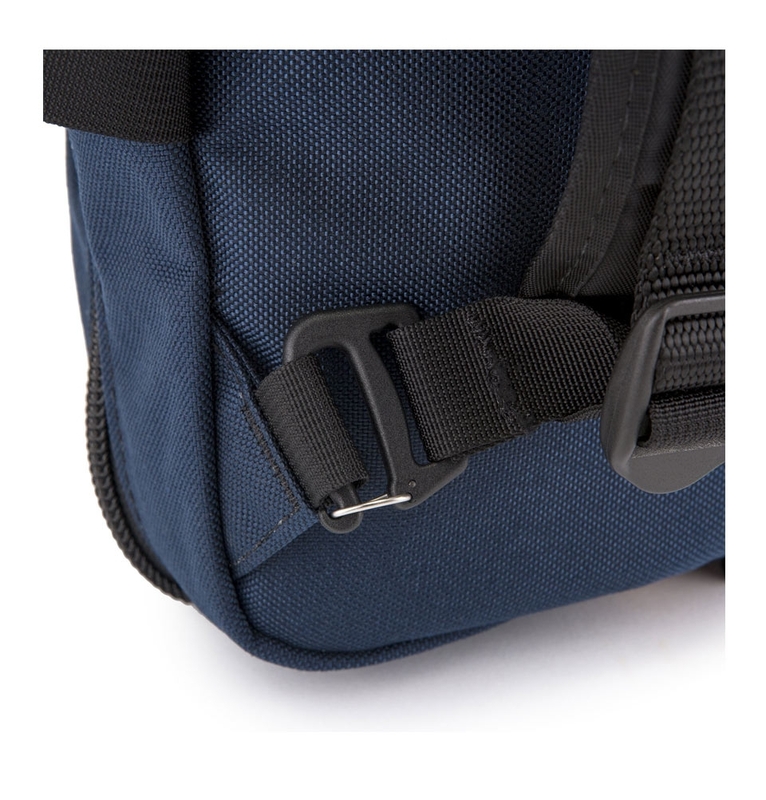 On the outside, there are two cinch straps and an extra notebook pocket, but what's most impressive is the ultimate usability of the bag. 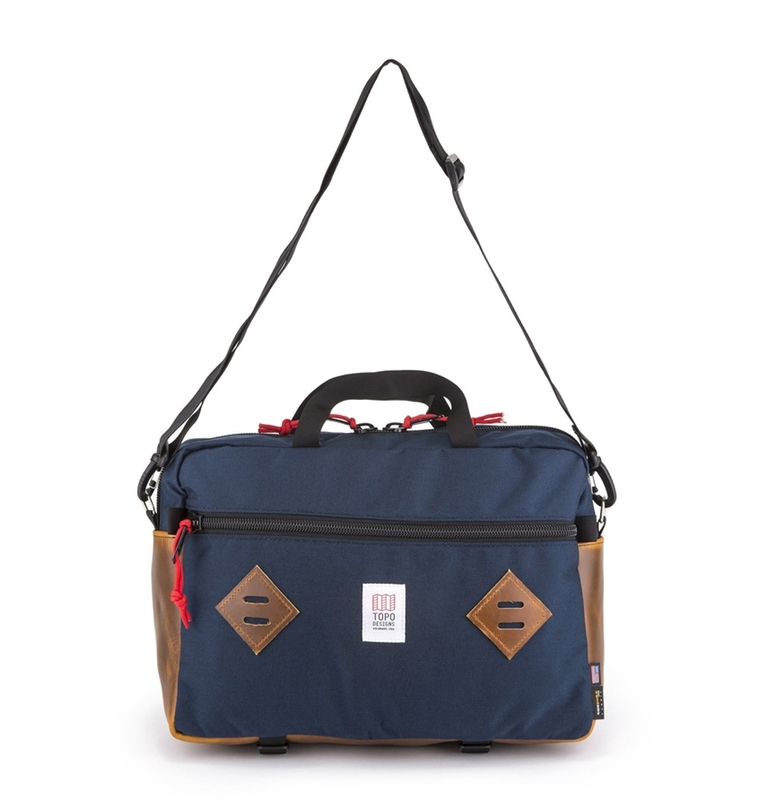 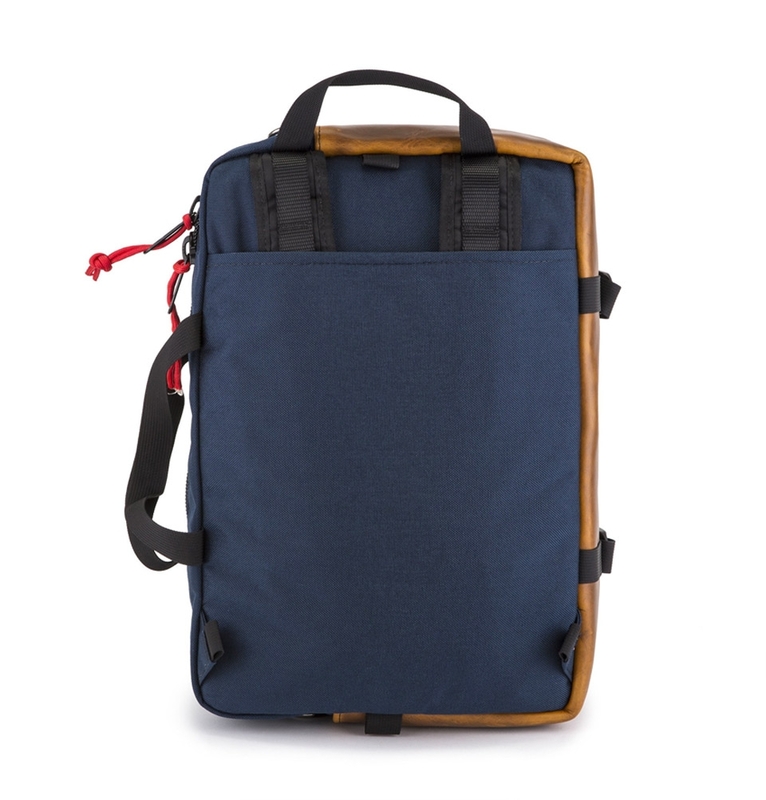 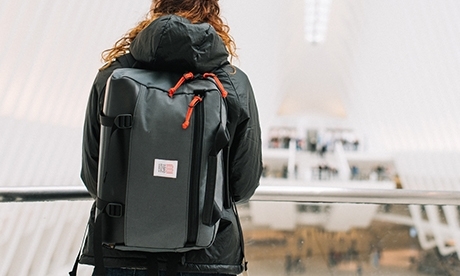 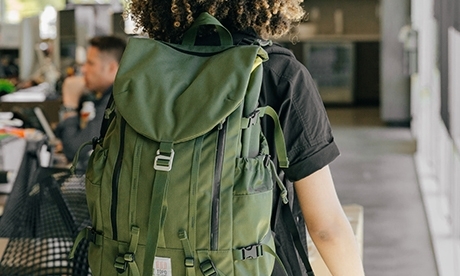 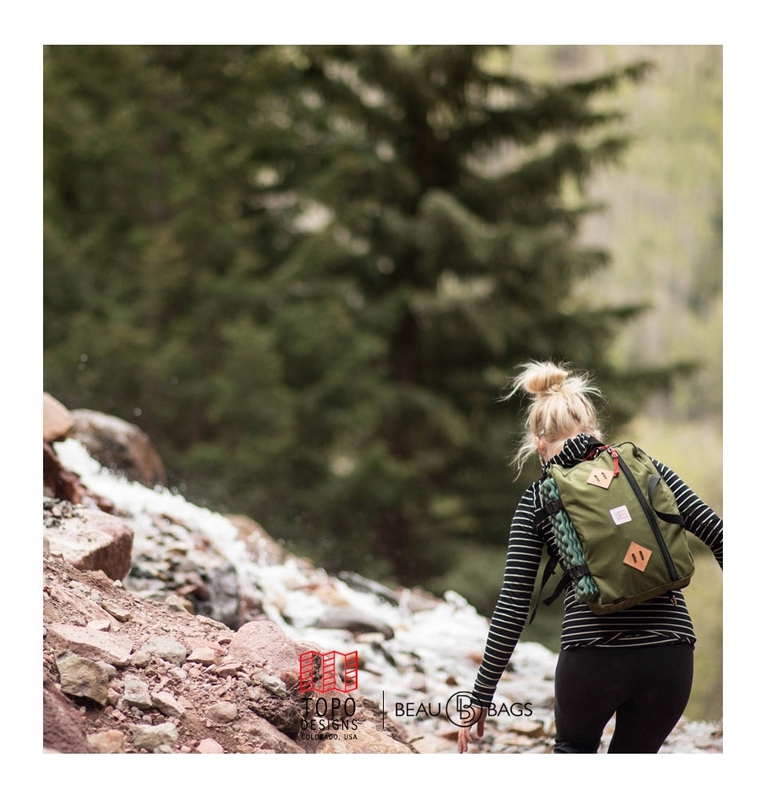 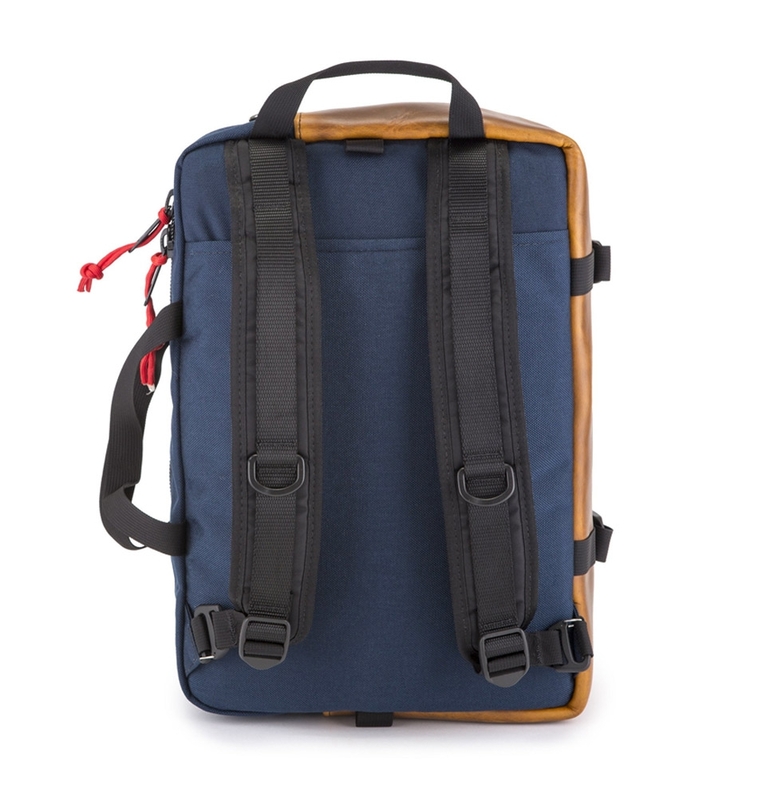 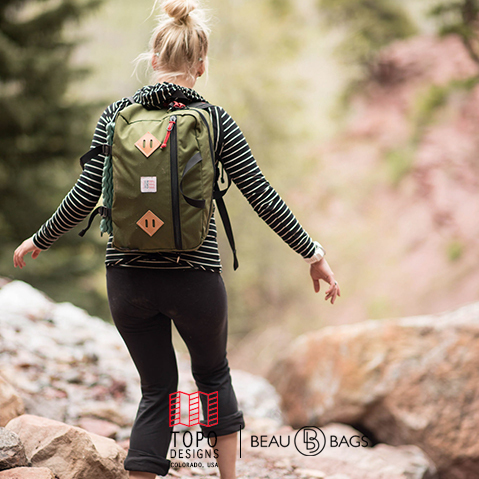 Without looking cumbersome or unappealing, the bag transforms from briefcase to backpack and looks at home on a hike or on a desk.